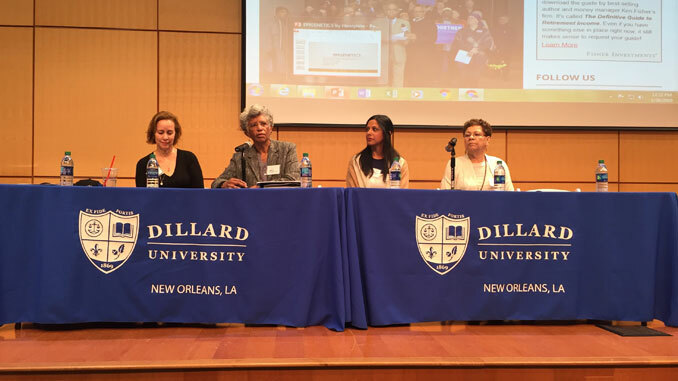 HomeLocalLocal High School Students Examine Injustice in the U.S.
High school scholars were given an opportunity to speak out against social justice and inequity at the Criminal Justice Symposium of Scholars organized by the Bard Early College in New Orleans program on January 26, 2019, at Dillard University’s Professional School Building. The symposium also brought experts who work on social justice issues from various disciplines like environmental, criminal, and arts-based, to educate young people about these issues. “I wanted to be able to organize something like this to give them the opportunity to not only engage with that bridge between an academic self and activist self, but also to reassert the significance of their own voices,” said Imani Sheppard, an assistant professor of medical humanities at Bard College in New York, and the coordinator of the event. Sheppard said that seeing young people engage issues about social injustice, early on, inspires hope for a more equitable future. “I would hope that it reassures listeners that all is not lost, and that there is a potential for positive upward movement within the community starting with these students who often don’t have a voice,” she said. The event’s speakers hoped that such forums, outside the classroom, can help future leaders see how social and political structures lead to forms of oppression. “Policies that pass in our neighborhood are based upon those who govern,” said Asali DeVan Ecclesiastes, the keynote speaker, who is the director of strategic neighborhood development for the Claiborne Corridor Cultural Innovation District. She illustrated that those in power control how neighborhoods are developed around socio-economic status; putting those in lower class neighborhoods at a societal disadvantage. For many students coming from these neighborhoods, especially African-Americans ,the school-to-prison pipeline is institutionalized through urban school culture, said Tuere Burns, the executive director of BarNone. Her non-profit organization was founded to provide people affected by incarceration with opportunities for entrepreneurship and success. “If you have not been to any of the local schools here, go visit. And you’ll see. You’ll see tape on the floor, you’ll see the way the children are handled and not respected,” Burns said. 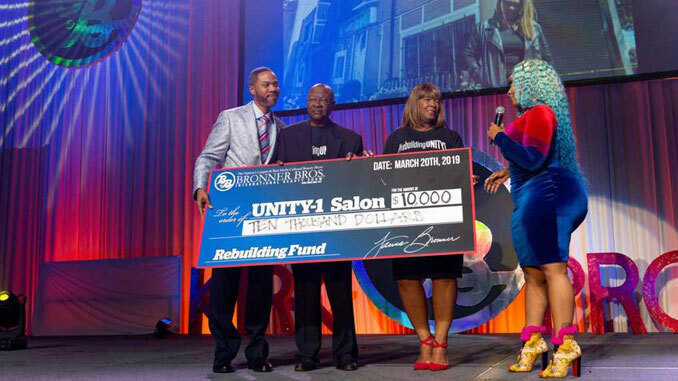 After working for 25 years in social justice campaigns around the prison industrial complex, Burns explained that the system profits off of inequality. “[It] makes a ton of money off of our people, poor people, and especially our boys,” Burns said. Social justice advocates from the National Association of Multicultural Education examined how different groups in the community, both academic and faith-based, could intervene in forms of oppression, particularly when it comes to policing. Students said the experience opened their eyes to become more aware of how subtle injustices can be. “You are not to be so blind with patriotism that you cannot face reality,” said Ron Triggs of International High School of New Orleans who was the first student of the Bard Early College in New Orleans program to present his research. “Due to power dynamics, we refuse to challenge the systems,” Triggs said. In identifying forms of systemic oppression, the students outlined in their presentations that this was the first step to breaking decades of inequality within the African American community. “Getting out of a cycle of destruction often takes a lot of resources, and is even harder when your own education system is trying to destroy you,” Triggs added. The organizers said they hope such critical learning, outside the classroom, would prepare high school students for facing the challenges of today, long after they graduate. “Deprogramming. I feel that is what we are working towards,” Sheppard said. “Deprogramming students from what they feel is normal and what they have accepted as normal,” she said.